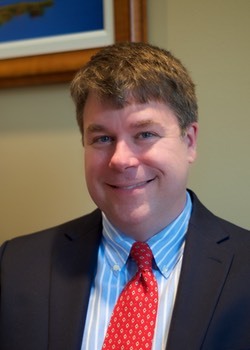 Mr. McDonald joined The Tiencken Law Firm, LLC in July 2015 after practicing for almost eight years at one of South Carolina’s larger law firms. His practice has focused primarily on contract law, corporate matters and commercial real estate. In addition to his work as a transactional lawyer, Mr. McDonald has also assisted clients in numerous OSHA and employment-related matters. Mr. McDonald has assisted clients in the electrical utility, telecommunications, industrial fabrication and construction, medical services, banking, and governmental sectors, among others. After completing his undergraduate studies at the University of South Carolina (B.A. English, 1992), Mr. McDonald taught high school for eight and a half years before returning to graduate school at USC and completing two graduate degrees and law (M.A., Journalism, 2004 and J.D., 2007). He is currently writing his dissertation to complete a Ph.D. in Mass Communications at USC. The focus of Mr. McDonald’s graduate research has been First Amendment issues in mass media, particularly on speech protections afforded to for-profit advertising and PR communications.